In the year 1954, U.S. Marshal Teddy Daniel and his partner, Chuck Aule, arrive at Shutter Island to explore about a missing patient case. Rachel Solando, murderess, is loose on the island in spite the fact that she is under surveillance constantly. The case leads them to Solandos room, there they find a code that she left behind and that she escaped from her room barefooted. In order for Solando to have escaped, she would have had to get past a group of orderlies and two other guards. 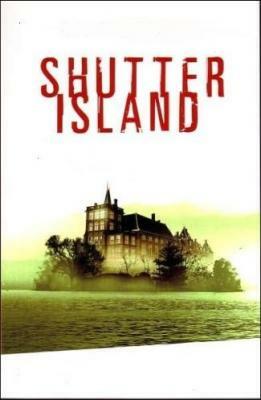 Teddy and Chuck interrogate the staff at Ashecliffe Hospital and they find that Rachels psychiatrist, Dr. Lester Sheehan, has left the island the day of her disappearance for a “vacation.” They also question many patients individually. Chuck notices Teddy asking each patient a repeating question. Teddy, turns out, is on Shutter Island for another purpose, other than finding Solando. He is there also to see if he could find the guy who killed his wife, Andrew Laeddis. The island has three hospital wards and a lighthouse secluded by electrical fences and guards protecting it. Teddy finds out later on that the lighthouse is performing illegal brain surgery on patients in an attempt to bring them back. Teddy is warned not to trust the doctors and patients and that he is being drugged through the food he has been given. Before Shutter Island, I had read a few books before that were somewhat similar, but not as dark. I did not know how I much I would like Shutter Island, and I would like to say that I was surprised, in a good way. The first half of the book was really slow and dull for me and there was not many action in it and I could barely keep myself intrigued with the book. Toward the end, the plot takes a turn, the book changes to a more dramatic scene where I had to keep up in order to understand. There were a few times where I was lost during the book and had to reread to catch up, but that could be fixed with a little more attention put into it. Shutter Island has mildly challenging vocabulary, with some explicit language mixed in. I would recommend this book to age thirteen and older because of the somewhat complicated plot and foul language. Overall, I would rate the book a eight out of ten stars. 1. What time does the book take place? 2. What sort of transportation does Teddy use to go to Shutter Island? 2a. He gets there on a ferry boat. 3. Why was Rachel committed to the asylum? 3a. She killed her kids by drowning the three of them in a lake. 4. What happened to Teddy’s wife? 4a. She died in a fire in their apartment. 5. What did Bridget write in Teddy’s notebook? 5a. She wrote “run.” Teddy was interviewing her about Solando’s disappearance and she wrote it when Chuck had left the table. 6. What does Teddy believe the code Rachel Solando leave behind mean? 6a. He believes it lead to a sixty-seventh patient when there are supposedly only sixty-six patient at the hospital. 7. Who is the sixty-seventh patient? 8. Why did Teddy not leave the island? 8a. He was held back by a hurricane. 9. How many piles of rock did Teddy count and what did the stand for? 9a. He counted thirteen. The number of rocks in each pile encrypted the name of Andrew Laeddis. 10. Who is George Noyce? 10a. A friend of Andrew Laeddis. He was sent to Shutter Island twice when he was let out the first time. 11. What are the names of Andrew Laeddis’ children? 11a. Edward, Daniel, and Rachel Laeddis. 12. Who did Teddy find in the cave and what does she tell him? 12a. He meets a nurse disguised as Rachel Solando who warns him about being drugged through food and pills. 13. Chuck is really who? 13a. Lester Sheehan, Teddy’s primary psychiatrist. 14. Why did Cawley and Chuck help stage Teddy’s play? 15. What is the final code that Teddy solved? 15a. “You are him.” It meant that Teddy was Andrew Laeddis.